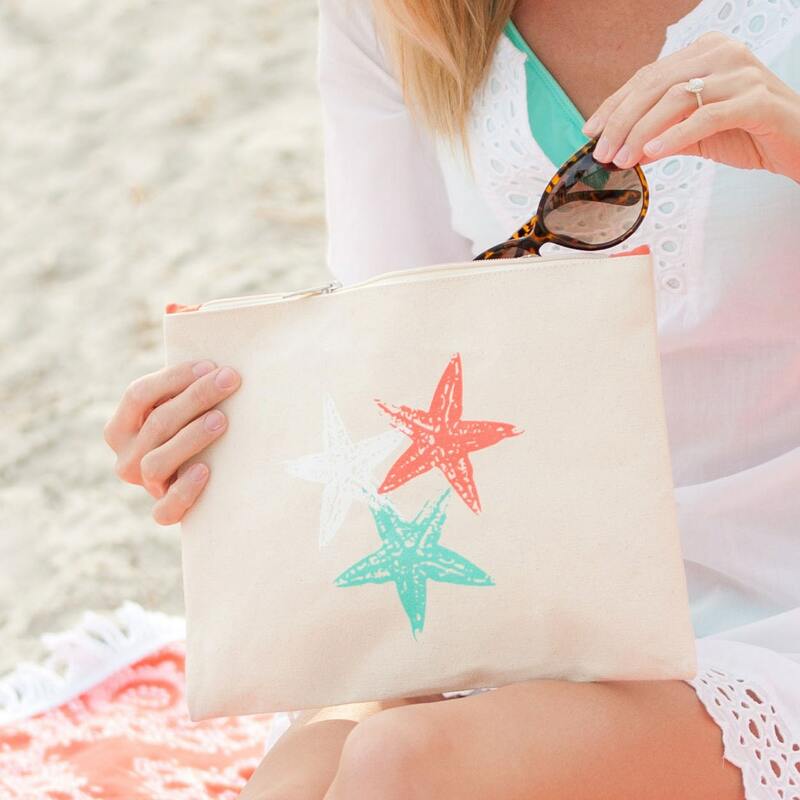 This makeup bag is the perfect bridesmaids gift for your beach wedding! Stylish and roomy, it's large enough to hold an ipad too. Purchase as a thank you hostess gift for those you who let you use their beach cottage or condo, and more. This listing is for one generous sized makeup bag as shown in all 3 photos. 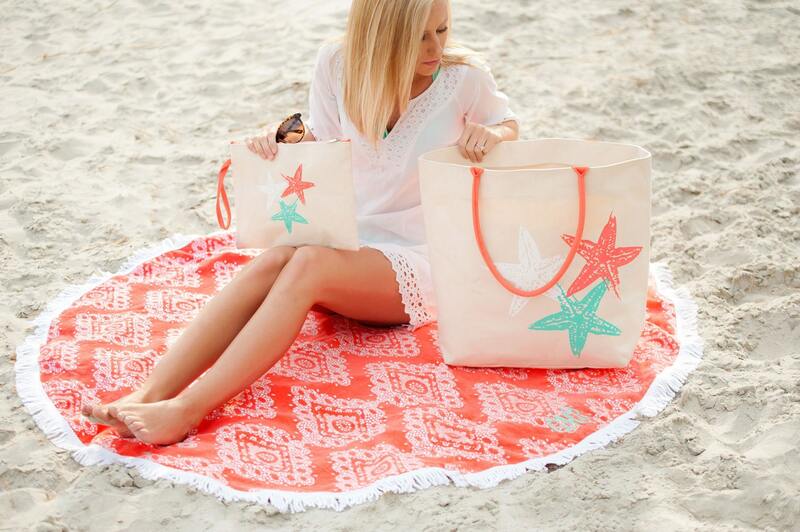 The large TOTE and beach towel shown in photo 1 are NOT included- they are listed separately. Wrist Strap- I LOVE bags with wrist straps. They are so much easier to carry when your hands are full and you're late for work, or packing for the weekend, or running errands. Yes! We have the large TOTE bag that coordinates but stock is limited...they are NOT included in this cost. This listing is just for the cosmetic bag. Shop early for best selection of our boutique accessories-quantities are limited! Did you know we also carry other wedding items? We have favors (cozies and coasters), thank you gifts for parents, ornaments, even gift ideas for the groomsmen. Contact us with any questions you have. 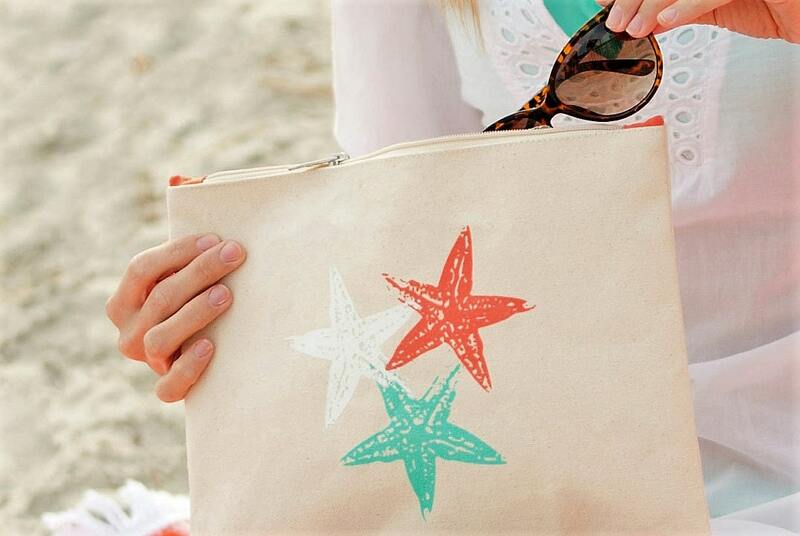 We're adding many more fun bags, wraps and coverups to our shop, so check back often.